The United States (US) has expressed interest to invest more in the power and energy sector of Bangladesh, says Nasrul Hamid, State Minister for Power, Energy and Mineral Resources. 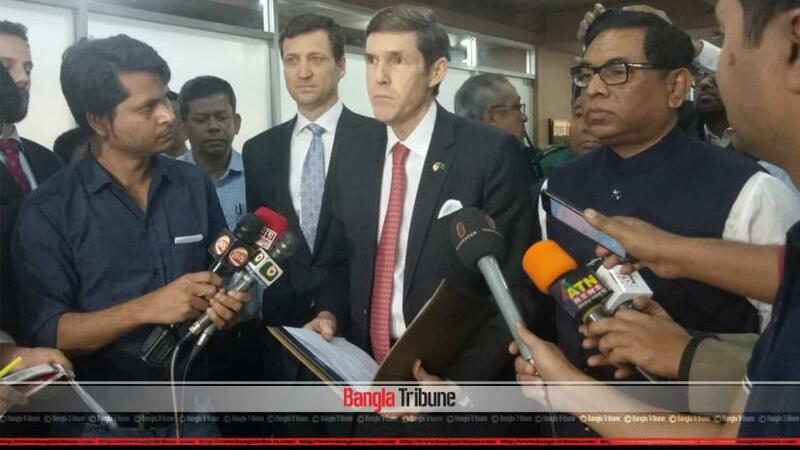 Hamid briefed the media on Sunday (Feb 10) following a meeting with an eight-member US delegation including Acting Deputy Assistant Secretary on South and Central Asian Affairs Thomas Vajda and US envoy in Dhaka Earl Miller. “We discussed about the scope of increasing US investment. They (US delegation) have praised Bangladesh’s economic growth and expressed their faith on the leadership of Prime Minister Sheikh Hasina,” the state minister said. “We also discussed on the possibilities for us to forge a closer working relationship,” he added. “We think we can invest further in the power and energy sector,” he added. Terming Bangladesh’s geographical location as ‘important’, Miller said that the US considers the South Asian country as the most potential for investment. “The United States wants to do fresh investments in Bangladesh,” the envoy reiterated.